The Walt Disney Company is seeking to gain full control of Disneyland Paris. Disney is picking up the majority of shares controlled by Saudi prince Al-Walid ben Talal held through the Kingdom Holding Company. Disney is paying 2 euros per share which is a 67% premium to the current trading price. This would bump Disney’s stake in the venture to 85.7%. It should be noted that the share price of Euro Disney was 11 euros when the company went public in 1989. 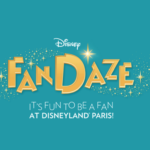 Disney said that Disneyland Paris’s financial condition has been significantly and negatively impacted by the November 2015 events in Paris and the challenging business conditions that continued through 2016 in France and throughout Europe. This weakened financial condition has hampered Disneyland Paris’s ability to complete required improvements and expansions. 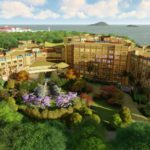 Following the transaction, Disney will put 1.5 billion euros into Disneyland Paris to improve the situation of the resort. Disneyland Paris is expecting that the resort’s upcoming 25th anniversary celebration will help boost attendance. 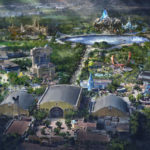 It is unknown what the new investment will be spent on, but it is expected part will be used to pay down debt while also building new attractions and experiences. Today The Walt Disney Company (” Disney “) announced that it will acquire through one of its subsidiaries 90% of Kingdom Holding Company’s (“Kingdom”) shares in Euro Disney S.C.A. (“Euro Disney”) at a price of €2.00 per share, increasing its interest in Euro Disney to 85.7%. Disney also announced that this subsidiary intends to make a cash tender offer for all remaining outstanding shares of Euro Disney at a price of €2.00 per share, representing a 67% premium to the trading price at the close on February 9 , 2017. Moreover, Disney has informed Euro Disney that it is committed to support a recapitalization of up to €1.5 billion for the Euro Disney group of companies (“Group”) to enable the Group to continue implementation of improvements to Disneyland® Paris , reduce debt and increase liquidity. As previously reported by Euro Disney, despite the recapitalization announced in 2014 that enabled the Group to make attraction and hotel improvements which have generated positive guest feedback and set the stage for the Resort’s 25th Anniversary celebration this year, the Group’s financial condition has been significantly and negatively impacted by the November 2015 events in Paris and the challenging business conditions that continued through 2016 in France and throughout Europe. The comprehensive proposal announced by Disney affords maximum flexibility to shareholders, addresses the Group’s financial needs and reflects its ongoing support for the long-term success of Disneyland® Paris . The acquisition of Euro Disney shares will occur through an off-market block trade and is scheduled to close on February 15 , 2017. The purchase price of €2.00 per share will be paid in shares of Disney common stock, based on Disney’s closing price on the New York Stock Exchange on February 14, 2017 and the Euro-U.S. exchange rate published by the European Central Bank on the same day. The seller will be Kingdom 5-KR-11, Ltd, a subsidiary of Kingdom, and the purchaser will be EDL Holding Company, LLC (“EDL”), a wholly-owned subsidiary of Disney through which Disney historically has held its interest in Euro Disney. As a result of this transaction, Kingdom’s ownership interest in Euro Disney will decrease from 10.0% to 1.0%.